Evans & Partners were one of the first UK accounting firms to pick up on Xero cloud accounting. They were early adopters of the ‘beautiful accounting software’ way back in 2010 when most other accountants had never heard of the exciting technology emerging from down-under. Xero fitted perfectly with the Bristol accountant’s vision to help Bristol business understand their finances better. It could provide small business owners with crucial data to help them understand where they were now and the direction to follow for success in the future. 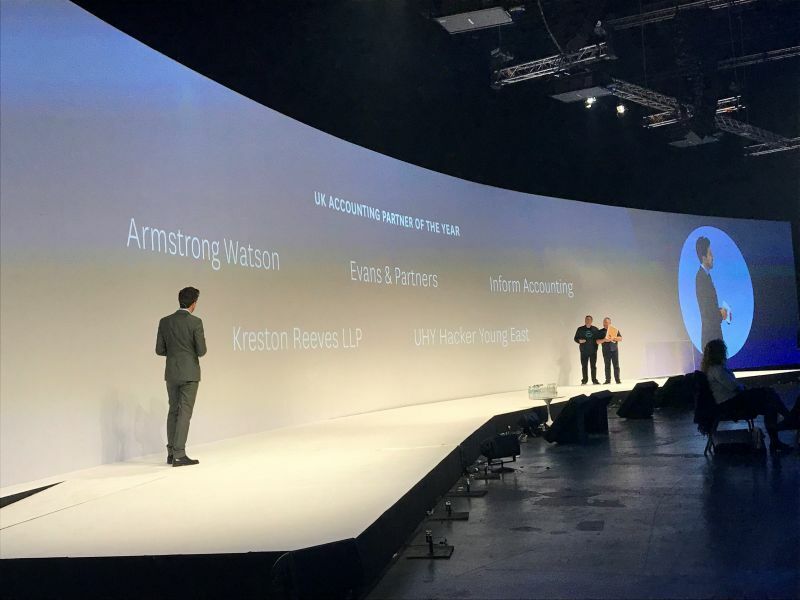 Fast-forward seven years to 2017 and it’s an exciting time for the firm and confirmation of our belief in cloud software to be featured on the enormous Xero screen at ExCel London as one of 5 UK firms to be selected as UK Accounting Partner of the Year 2017. Xero hit 250,000 subscribers this year and is the UK’s number 1 accounting software. If you haven’t looked into Xero already, we’d strongly suggest that you do, you’ll be wowed! Contact us on client.service@evanspartners.co.uk for Xero help and advice. Or call 0117 9675215.